Last week I asked for your advice regarding my grey Miette cardigan from Andi Satterlund (1). And you lovingly helped me with your button- and sleeve-wisdom. So, I wanted to let you know, I (mostly) followed your hints. Today I present you my finished Miette cardigan. I started with the neckline update: I worked two rows of single crochet around the neckline. The first row consisted of *2sc, 2sctog* and the next row was *9sc, 2sctog*. In m opinion this helped to strengthen the neckline and to close the very wide opening. I am happy I did this. On to the next problem: the buttons. Most of you favoured the metal buttons or the black ones. I used the black ones, because the silver buttons were so heavy that the whole button-band crumpled. Also, I asked you about my problem, that I often do not like myself in my handmade wardrobe. And with amazement I read that many of us feel the same… so I am thinking about an outfit/accessories challenge sometimes after the upcycling challenge of @needleworkmonday, where we present our handmade outfits on person or (if you do not want yourself on the photo) arranged with matching items on the floor or so, to earn a bit of love and praise :-DDD Let me know if you are interested…. If you want to see more beautiful projects with yarn, fabric and most of all needles, follow @needleworkmonday. 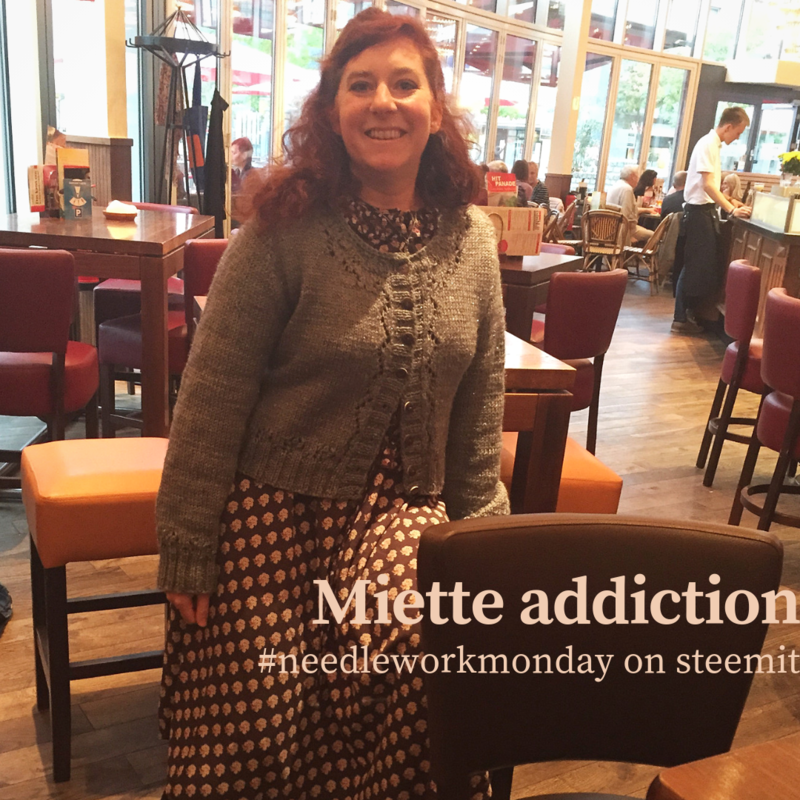 Or even better grab your needles and pen keyboard and join the #needleworkmonday community on steemit. If you want to read all comments for the post above you can also read it on my steemit blog. (1) If you want to make Miette (a raglan cardigan with laze details) yourself, then hurry up. The designer will take the free pattern down in December. She has made a new variation of this cardigan with more sizes and in a different knitting method and this new cardigan will replace Miette. 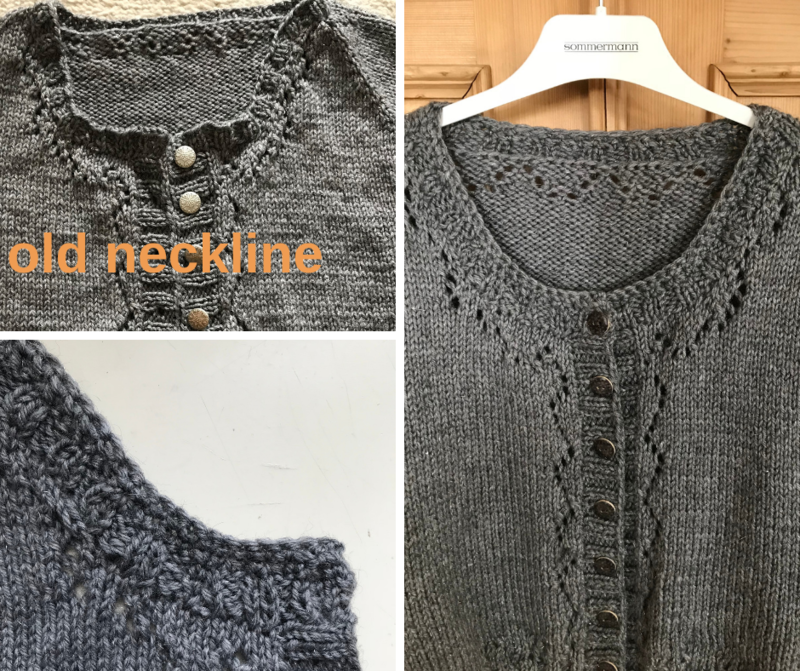 It is called ‘Crumb’ and you currently get the pattern for free, if you subscribe to her newsletter.